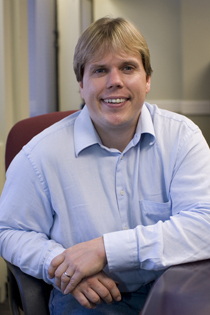 Dr. McCloskey received his Ph.D. in Clinical Psychology in 2001 from the University of Southern Mississippi. After completing a post-doctoral fellowship at University of Chicago specializing in aggression research, he joined their Department of Psychiatry and Behavioral Science as an Instructor in 2003. He was promoted to Assistant Professor in 2005. Dr. McCloskey left the University of Chicago to join the Temple University Clinical Psychology program in 2009, where he was promoted to Associate Professor in 2012 and most recently selected as the Director of Clinical Science Training (DCST) in 2016. Dr. McCloskey also currently serves as an associate editor for the Journal of Consulting and Clinical Psychology (JCCP) and as a reviewer for the National Institutes of Health (NIH). Dr. McCloskey has published over 100 articles and book chapters, and has served as PI for several grants including multiple NIH RO1 grants. The focus of Dr. McCloskey’s research is the etiology and treatment of affect dysregulation with a focus on aggressive and self-aggressive behavior. This includes testing potential biological, psychological and environmental risk factors for aggression (both self and other directed) using self-report measures (including ecological momentary assessment), behavioral neuroscience tasks and brain imaging techniques such as fMRI. He is also involved in the development of interventions for Intermittent Explosive Disorder (IED). To find out more about Dr. McCloskey’s research, see the Publications page or download his CV here.